Today is WWW Wednesdays and it’s time to give you an update on what books the kids and I have been keeping on our bookshelf. Lots of fun reading going on! I’m almost halfway through Tina Fey’s “Bossypants and I’ve laughed at least once on each page. It’s refreshing to read the story of an unpretentious celebrity with a “normal” childhood. I can’t wait to read her take on motherhood. I think after reading her book, I’ll like Tina Fey even more! “The Talented Mr Ripley” by Patricia Highsmith. Who said you can’t get away from murder? Mr Ripley is quite a talented con man indeed. 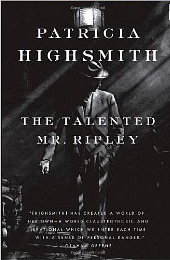 It’s interesting to realize that, even by using the third-person narrative, Patricia Highsmith helps you understand what’s going on in Ripley’s mind at all times – the fears, the struggles, the paranoia, the egomania, the plain insanity. And yet, I almost found myself rooting for Ripley, even though everything he did was so, so wrong. I’ll definitely read the other Ripley books and I hope they’re just as good as this one. “A Dog’s Purpose” by W. Bruce Cameron. I’m sure they’re both excellent but which one should I read first? A whole bunch of John Lithgow books! 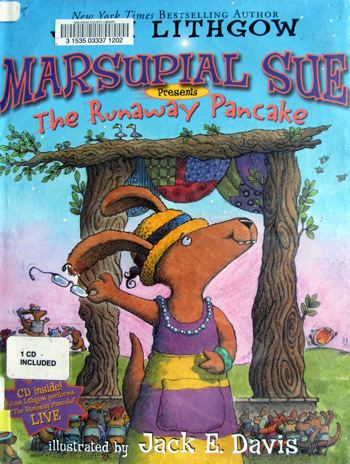 Their favorite has to be “Marsupial Sue Presents the Runaway Pancake”, which comes with a CD of Lithgow reading his story in front of a live audience of young children. With the funny song by the runaway pancake, children’s laughter and John Lithgow’s hilarious narrative, my kids can’t have too much of it. It’s actually the first thing they ask for when they get up in the morning, and it keeps them company while they eat breakfast (read my previous post on eating and sitting down and you’ll understand why this book is a lifesaver). A few other favorites from Lithgow are “Micawber” (the squirrel who appreciates art) and “Marsupial Sue” (the original). “No laughing, no smiling, no giggling” by James Stevenson – a very funny, interacting book. 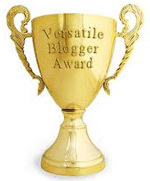 I dare you to read it without laughing, smiling or giggling! “Someday we’ll have very good manners” by Harriet Ziefert – great entertaining book showing the good manners we all have to learn as we grow up, comparing them to little kids’ lack of manners. I’ve reordered the Madeline books as we enjoyed reading them almost a year ago. We’ve watched some of the videos (they’re OK, not great) so it would be great to go back to the original stories and illustrations. Alright, I think I’ve got everything ready for my son’s birthday family celebration tonight. The Spider-Man cake turned out OK, and you’ll get to see a photo soon. Today is WWW Wednesdays so I wanted to give an update on what my kids and I have been reading. I’m about halfway through The Talented Mr Ripley by Patricia Highsmith. Wow, what an interesting novel about a sociopath character. Even though Highsmith chose the third-person narrative, she really makes the reader realize what’s going on in Ripley’s mind. Fascinating, and very scary. I finally finished The Time Traveler’s Wife by Audrey Niffenegger. This novel offers such an interesting, different twist on the common love story. I kept reading wondering where this was going, and now that I’m done, I’m sad to say goodbye to the characters. Impressive feat for a first-time author. The only thing I didn’t like about the book is its length. I felt some parts didn’t add much to the story and could have been edited out to make for a shorter, more powerful book. Overall I recommend this novel to anyone looking to read a great story. 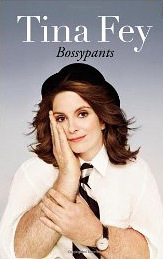 Oh my gosh, I just got Tina Fey’s BOSSYPANTS from the library!!! I’ve heard from several people how hilarious (i.e. laugh out loud) this book is, so I can’t wait to dig into it! Actually my kids are still asking to read these books but I sooooooo want to take them back to the library because I can’t stand them. 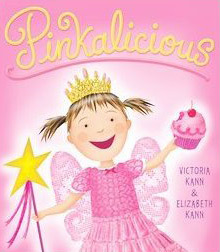 The “least” worst of the series is Pinkalicious by Victoria Kann, but the sequels Goldilicious and Purplicious are simply ATROCIOUS. The computer-generated illustrations are not that good, the text is average and could use a lot of editing. Apart from an interesting premise for Pinkalicious, the stories in the other books are booooooring. But my kids really like the books, so I’m trying to be nice by reading them a few more times. I requested several books by John Ligthgow (yes, the actor). He’s been writing children’s books for the past ten years or so and I’d like to see if they’re any good. 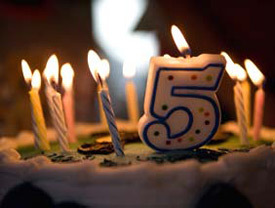 Today my eldest is turning five. This little man graduated preschool a few weeks ago and will be entering kindergarten in the fall. Don’t ask me what happened during the past five years, I’m not sure I remember it all. Overall I find motherhood a very humble job. After you’ve been peed on, pooped on and barfed on so many times, somehow you can still look at your child and think he’s the most precious gift in the world. I guess it’s why they call it unconditional love. At the age of five, my son thinks he doesn’t need to go to school anymore because he already “knows it all”. Wow, I thought such cocky statement only came out of a teenager’s mouth. A five-year-old proved me wrong. Clearly, I don’t know it all. When he grows up, he wants to be a police officer. He’d also like to be an astronaut, a diver and a painter. And a writer too. At least he won’t have time to get bored. And I tell him he can be anything he wants to be. Because he can. We were going to throw the usual birthday party with the required set of playmates, their parents, the expected entertainment and party favors for them all. Then I thought, what will my son remember from this two-hour-long birthday party several years from now? Probably not much. So I suggested something different. Something more “adventurous” we could do as a family. Something that will create lifelong memories. So we’re scratching the idea of a typical birthday party and instead are taking a train ride on Amtrack from San Diego to Anaheim, two hours each way, to Downtown Disney. We’re not going to Disneyland (too crowded and too expensive in the summer) but instead will enjoy the shops and the entertainment of the Disney village for a few hours. 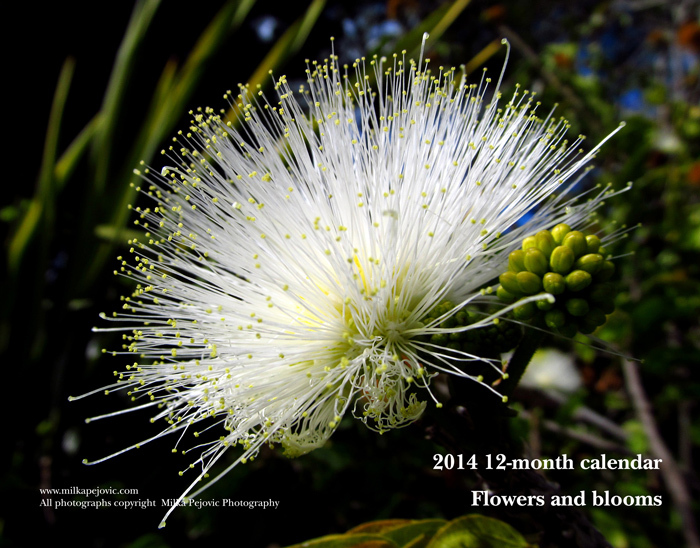 The kids will even have the opportunity to pick a few goodies at the gift shops. I hope we’ll have lunch in the jungle of the Rainforest Cafe, so the kids can witness a thunderstorm every 10 minutes. Hey, we live in San Diego, we don’t get thunderstorms so this is sure to have a novelty effect. The kids can’t wait to first ride the train, then take a taxi from the station to Disneyland. 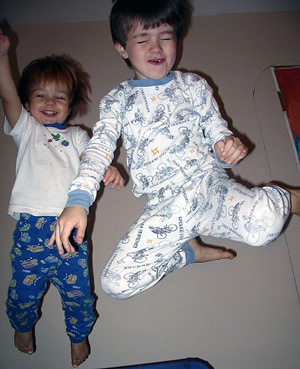 Kids this age are so easy to entertain, I wish they didn’t turn into blasé teenagers later on. Of course, no birthday would be complete without a birthday cake. As part of my 101 in 1001 challenge, I’m making my son’s birthday cake from scratch. He asked for a Spider-Man cake and the decoration is all I have left to do. Gosh, I hope a five-year old can be forgiving… You’ll get to see embarassing pictures when I post an update about my 101 in 1001 in early August. In the meantime, my son is taking chocolate madeleines to school today to share with his classmates. These are so good, I wish they stayed home for us to eat. 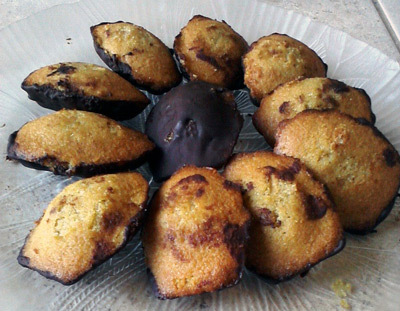 Can’t have madeleines? Let us eat cake!